Home buying is exciting and you can’t wait to move into your new home—we get it. There’s more that needs to be done before you get to the finish line—namely seven inspections that will tell you everything you need to know before calling that home your own…or not. Of course, you probably already know you should have a home inspection done, but that’s not enough. You really need to dig a little deeper if you don’t want to end up with a money pit…or worse…a house that could kill you! What do you mean a house that could kill you? Well, if you don’t have this one type of inspection done (we’ll talk about in a moment), then yes, there is a common inspection that if you don’t have conducted, you could end up with a house that could kill you. Yep! That’s some pretty serious stuff. 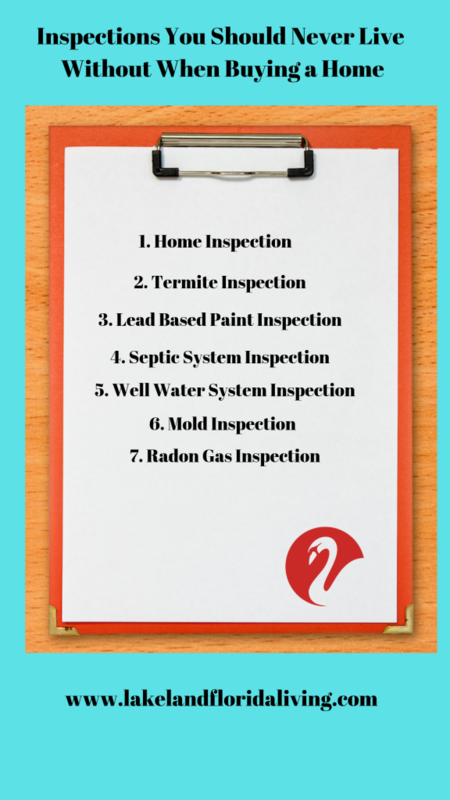 So let’s get to this and by the end of this article, you will know exactly which inspections you need and why, as well as the one type of home inspection that could save your life. Here are the seven home inspections you should never skip, including an important inspection you must perform to keep your family safe and the one inspection that routinely saves lives. Not only you want to do inspections on homes that are older, I highly recommend to get inspections done on new construction homes and remodeled homes. Florida requires all home inspectors to be licensed. Generally, home inspectors are certified by agencies that are run by the state. And home inspectors are also usually members of a nationally recognized organization such as the American Society of Home Inspectors (ASHI). OK, now that we have that out of the way, let’s talk about home inspections—what they cover and approximately how much they cost. A typical home inspection is one that covers the main components of a home such as the roofing, wiring, plumbing, and other electrical counterparts of the home, including the HVAC system, as well as any structural issues that could potentially be a problem. When finished, the home inspector will write a detailed report that will include his/her findings then make suggestions and recommendations about which repairs/replacements are necessary to bring the home up to the current local codes. He/she will sometimes give you the life expectancy of each major component as well. To be on the safe side, it’s best to request component life expectancies from the inspector upfront, so he/she will include that information for you on your home inspection report. 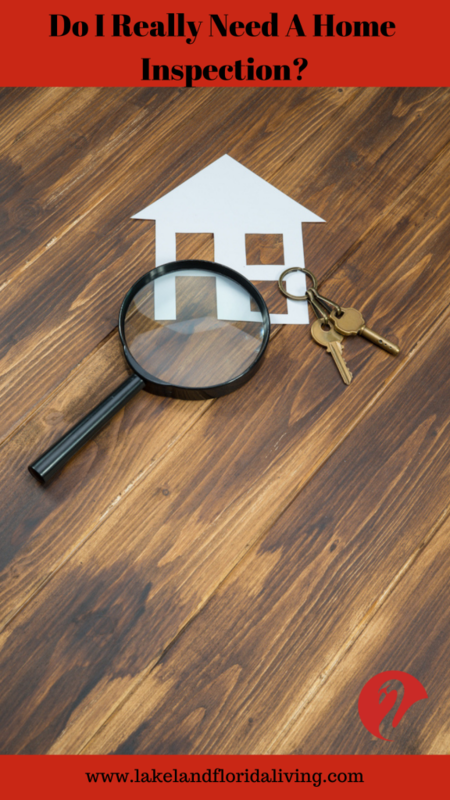 The average cost of a home inspection report usually ranges between $400 and $700, depending on the square footage of the home. The termite inspection is also called a wood boring or destroying insect inspection. A termite inspection involves contacting a local pest control company that offers a termite service and can conduct a termite inspection for you. Additionally, your real estate agent will also be able to provide you with the name of a reputable termite service. The termite service will then come and inspect the home and property for signs of termites and other wood boring insects. He/she will look for structural damage and other signs that the home has termite damage and/or active termites. The pest control company will then give you Wood Destroying Organism (WDO) report. If requested, an estimate for treating the termites will be provided. Additionally, once the home has been treated for termites, most pest control companies offer a warranty for the termite service they performed. That means if the termite activity reoccurs within the warranty period, the pest control company will come back and re-treat the home at no cost to you. The average cost of a termite inspection will usually run between $50-$100; however, the cost will depend on how extensive the active termite infestation is which means it could potentially cost much more. Lead-based paints were banned for use in housing in 1978. Most homes that were built prior to 1978 have lead paint and the deterioration of that paint over time is what causes a problem. A lead-based paint inspection must be performed by a lead-certified inspector or risk assessor. The lead-based paint inspection will determine if lead is present in the home and, if so, identify potential sources of the lead exposure. The inspection will tell you if lead is present, the severity of it, the location of the lead-based paint hazards, and provide you with suggestions about how to control it. The average cost of a lead-based paint inspection on a typical three-bedroom, two-bath home will usually range somewhere between $350-$450. Septic systems are great for helping you save on your monthly utility bills; however, before you buy a home with a septic tank, you shouldn’t skip the inspection of the septic system and the tank. The septic tank is the part of the system where the solids settle. Then there is a drain field, also called a leach field which is a subsurface wastewater disposal system that is used to remove contaminants and other impurities from the outgoing liquid after it passes through the anaerobic digestion in a septic tank. A septic system inspection is conducted using a simple dye test which will determine if the drain field is working properly. In order to determine if the entire system is functioning properly, a buyer should consider having the tank pumped out and visually inspected. Doing so will generally cost around $700. However, a basic septic system inspection should cost somewhere between $200-500. Just keep in mind that replacing a drain field could cost anywhere from $2,500 to $10,000; therefore, the extra money spent upfront might be well worth the peace of mind you will get from knowing. Having a water well system versus having to pay for city water is another great way to save money on your monthly utilities. However, here again, before you buy a home with a well, you should have it inspected. A well water inspection will test the water for potability which makes sure that water is suitable for drinking. It will also test for the hardness of the water, to see if there are any heavy metals such as lead, cadmium, or arsenic present. And, if there is any evidence of a nearby oil tank leaking (which could contaminate the well’s water), then it will need to be tested for Volatile Organic Compounds (VOCs) also. Additionally, if there is a farm or septic tank nearby, the well should also be tested by a state certified laboratory for common bacteria such as E. coli. The cost of a well water inspection usually runs somewhere between $300 and $500. This inspection includes analyzing water samples, confirming it is code compliant, testing for proper well and pump operation, and recommendations on the upkeep and how to properly maintain the entire well system. The mold inspection is another extremely important step in buying a home because your new house could have mold even if you can’t readily see it. Why? Because mold is a fungus that is usually black, white, green, or gray and it can make you very sick. Mold can grow between the walls, underneath the floors and ceilings, as well as in basements, and attics. A wet, damp, or water-soaked environment is where you will most likely find mold. However, mold can grow in dry climates as well. When buying a home, you should make a concentrated effort to look for mold, especially if you live in a humid, damp environment or if you notice anything leaking, hear water running or dripping, see any standing water, notice water marks on the walls or ceilings, or if you see condensation on the inside of the windows. If you notice a musty, mildew, or other similar smells, or if you see recent looking stains, all of these factors could indicate that there is the possibility of mold in that house. Newer homes are frequently built with “synthetic stucco.” This product is sometimes called the Exterior Insulation and Finish System (EIFS). The EIFS is an airtight barrier whose purpose is to improve the insulation of the home. However, if it’s installed incorrectly, it could allow water penetration which could result in the growth of mold inside the walls. This is just another reason that a mold inspection is so important regardless of the age of the house you are buying. Unfortunately, Florida doesn’t require a seller to provide the buyer with a Seller’s Property Disclosure Form, but Florida law does require a seller to disclose any known major property defects that are not readily visible to the buyer. So again, if for no other reason, every buyer should have the home they are about to buy inspected for mold because it’s possible the seller is not being upfront and honest about it. So, should you buy a house that has a mold problem? Well, that depends. If you or another family member has asthma, you have an infant, if there will be an elderly person living in the home, then maybe not. But either way, you will have to weigh the cost of the mold removal then decide whether that particular house is worth it. Alternatively, if you have an inspection contingency in your contract, you could ask the seller to reduce the price of the home to compensate for the repairs to correct the mold problem. And if the seller refuses to reduce the price or pay to have the mold removed, you might have to walk away and find a more suitable home. OK, last but certainly not least, the radon gas inspection. This inspection is the one inspection that could save your life. Why? Because radon gas is a cancer-causing radioactive gas that is odorless and colorless, so you can’t see, smell, or taste it and it could be lurking in your new home. Radon gas is the #1 cause of lung cancer aside from smoking. Radon is caused by the natural breakdown of uranium in soil, rocks, and water. It occurs naturally outdoors in harmless amounts. However, aside from radon in the soil, sometimes radon gas can enter the home through your water supply. And if you are exposed to high levels of this gas, it could become a problem. You can either hire a professional to test for radon, or you can test for it yourself by using a kit that can easily be purchased at your local hardware store. You will then perform the test by leaving it in your house for the required amount of time, then mail the test to a lab and wait for the results. If this gas is found to be present, the most common method for removal is to have a vent pipe system and fan installed. This vent system will pull the radon out from underneath your home and vent it to the outside. According to the EPA, you only need to fix the problem if the radon levels are 4 picocuries per liter (pCi/L) or higher. If you are buying a new home, however, simply ask the builder if radon-resistant construction features were used, and, if so, has the home since been tested. A professional radon inspection will cost somewhere between $150 and $750, with the cost usually being around $300 to $450. The cost of a professional radon inspection will vary depending on where you live and the size of your home. A home radon test kit will range somewhere between $10 and $30 each. You should consider buying several kits to include the number of levels and the layout of your home. Alternatively, some home inspectors will bundle the radon testing with your home inspection, which will generally add somewhere between $90 and $250 to your home inspection cost. It is common for one or more of the various home inspections to turn up something undesirable and there are several ways you can go about addressing those issues with the seller. It is best to have an experienced buyer’s agent on your side to negotiate issues that may arise. Ask the seller for a credit to compensate for the issues. Ask the seller to complete the repairs before the closing. You can buy the house As-Is. Or, as a last resort, you can walk away from the deal. One thing to keep in mind though— never pay for a repair on your new home before you have closed on it. Sales fall through all the time; therefore, it’s best to wait until you own the home before doing anything to it. Also, if you buy a home As-Is, it is important to remember that the effective price of that home is the contract price plus the cost of any needed repairs. And that sometimes the cost of those repairs can be rolled into your new mortgage such as in the case of an FHA 203(k) loan or something similar. Buying a house, for most people, is an exciting time. However, once you have found a house, it’s extremely important that you don’t allow your emotions to take over. Once your home contract has been accepted, you still have a long way to go. There are all the inspections, as well as dealing with the seller and sometimes the lender about the information contained in those inspections. There is the appraisal. The house has to appraise for the amount you agreed to buy it for. If it doesn’t, you will have to get the seller to agree to lower the price of the home and if they won’t, you will have to put down enough money to cover the difference. And, if neither of those solutions is an option, then, unfortunately, you will be forced to walk away from the deal. You should definitely remain excited about the house, but don’t get so involved that you can’t walk away if the inspections uncover problems that make that home undesirable. If you have to walk away, then don’t hesitate to walk away, and, remember, there will always be another house…guaranteed! If you would like more information about buying a home or about the different types of home inspections, please Contact Us today. Lakeland Real Estate Group is a respected member of the community and proudly serves Lakeland, Fl and the surrounding areas. Whether you are ready to buy a home or just kicking the home buying idea around a bit, we would love to help you no matter which route you decide to go.